A recent colleague and good friend of mine recommended that I read “Who Killed Change?” by Ken Blanchard, given some recent events at the workplace. 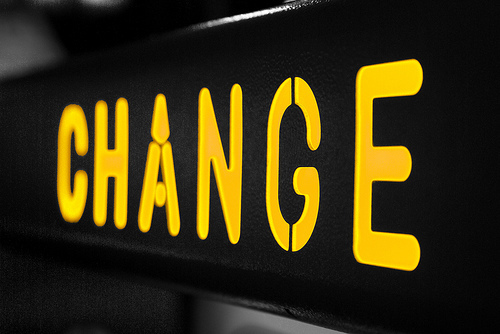 Change would be introduced to an organization with varying degrees of reception. From all appearances Change would begin to integrate into the organization and then, without warning, Change would be found dead, quite often with no apparent injury. The evidence was always scant and a sole perpetrator had never been identified. I must say that I feel like the character, Mike McNally, the homicide detective investigating the death of Change….but with one subtle, but important difference. I’m not interested in finding out who “killed Change” in my organization, bur rather avoiding the homicide altogether. Don’t get me wrong. It’s important to catch the perpetrators and make sure they don’t commit another crime. But in my case, I’m interested in learning from the crime and making sure that my neighborhood (aka job place) is safe. Frankly, I don’t want to see another case where I decide to get involved and find myself crossing the “Do not Cross” police tape. Now, rather than investigating why Change was found dead, I’d rather identify the suspects of another future crime in my neighborhood and hope that I can keep an eye out for suspicious activity which can be investigated BEFORE things get ugly. Culture – predominant attitudes, beliefs, and behavior. Are these inline with the charter set out by the company? Commitment – ability to build, motivate, and engage in new behaviors required to make change. Do you have this throughout the decision makers? Sponsorship – a senior champion/leader who has the AUTHORITY to deploy resources (time, money, and people). Without this, it’s all talk and no walk. Leadership – a single voice, led by a group of executives who are committed to change. Do you have a clear hierarchy of a hands-on and accountable team including CEO, CTO, and VPs which leaves no room for question on roles and responsibilities? Communication – opportunities for dialogue between leadership team and staff that is useful (right balance of strategic and tactical). Urgency – how quickly people must change the way they work. If someone in the organization can’t turn around questions or make decisions in a timely manner, fire them. Vision – a clear and compelling picture of the future. However, it doesn’t need to be perfect (in other words, don’t over analyze), the basic direction needs to be understood (well enough to put together detailed plans, objectives, etc.). Plan – clarifies the priority in which the team executes the initiatives and responsibilities. Sets the goals – SMART goals (specific, measurable, attainable, realistic and timely). Incentive – recognizes and rewards people to reinforce desired behaviors. This equates to a healthy combination of base, bonus, and equity plan (especially in Silicon Valley). Management – properly translates the company’s goals and expectations down to the staff…regarding behaviors and results, tracking progress, providing feedback and training and formally documenting actuals versus desired results. Accountability – follows through with people to ensure behaviors and results are in line with previously agreed goals, and institutes adjustments/consequences when behaviors or results are inconsistent. It seems simple, but you can startup by getting an organizational chart, analyze it and understand the reporting chain from bottom to top and how the above applies throughout the organization being asked to create change and innovate. Don’t let someone kill Change in your workplace. We all have a limited amount of time and energy on this planet and we all want to make sure that we maximize it.